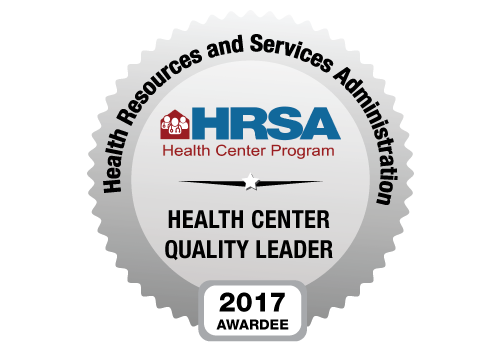 The Health Center recognizes that performance measurement and quality improvement are critical elements for excellence in the health care industry. Data is used to increase accountability, support quality improvement, facilitate and support clinical decisions, monitor the population’s health status, empower patients and families to make informed health care decisions, and provide evidence to eliminate wasteful practices. The Health Center has dedicated staff managing the Annual Quality Improvement Plan, which supports the Health Center’s mission, vision and strategic imperatives and the Institute of Medicine’s six aims for a quality health care system. Women ages 21 to 65 with Pap Smear within last 3 years; Women 30 and over with Pap/HPV Combo within last 5 years. % of Patients aged 2 to 17 with BMI Percentile and documentation of nutrition counseling and physical counseling during reporting period. % of patients aged 18 and over screened for tobacco use at last visit or within 24 months of last visit and given quitting intervention if current tobacco user. % of patients aged 5 to 40 with diagnosis of mild, moderate, or severe persistent asthma who received or were prescribed accepted pharmacologic therapy. % of patients age 18 years and older with a diagnosis of CAD who were prescribed a lipid-lowering therapy. % of patients aged 18 and over discharged for AMI, CABG, or PTCA in prior year or who had diagnosis of IVD during report period or prior year and who used aspirin or other antithrombotic. % of patients aged 50 to 75 who had an appropriate screening for colorectal cancer. % of patients age 12 years and older screened for clinical depression using an age appropriate standardized tool and follow-up plan documented. % of Patients aged 18 to 85 diagnosed with Hypertension prior to June 30 of reporting year, with controlled (<140/90) Blood Pressure at last check during reporting period. % of Patients aged 18 to 75 who have been diagnosed with Diabetes and last recorded HbA1c <= 9% (Controlled). % of children aged 6 to 9 years at moderate to high risk for cavities who received a sealant on a permanent first molar tooth.